Going by word of mouth can sometimes be the cause of disappointment when you are choosing some tourist destination because many of them are not worth the price from the point of view of a budget traveler. Also, you shouldn’t consider the worth of a tourist location by the cost of the luxury facilities being provided. That’s because there is no point in overspending for the commonly available amenities just because some place is too over hyped. So, here we break the hoopla around the 4 most disappointing expensive vacation destinations that you should be wary of. Malaysia is a very tourist friendly destination where there are ample options for entertainment for budget tourists. But there is an exception to it. If you visit the Island Bunga Raya in the Malaysia then you will find yourself deep in debts if you’re a budget traveler. The resort on this Bunga Raya Island is really overpriced and the price clearly doesn’t match the facilities being provided. You wouldn’t want to pay $540 for a night’s stay at this location where you would get the basic amenities like Wi-Fi, breakfast etc. Norway is a beautiful travel destination and it is always in the list of global tourism enthusiasts. 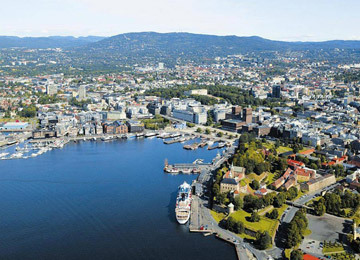 But don’t you dare visit Oslo if you are a budget traveler because this pricey place is not just for you then. $561 is the price that you would have to shell out if you want to enjoy just a single night out. Also, there isn’t much to do in Oslo for an adventure enthusiast. 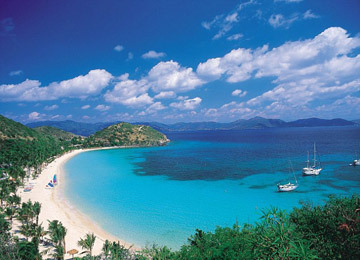 The Britain’s famous travel destinations include the Virgin Islands too. 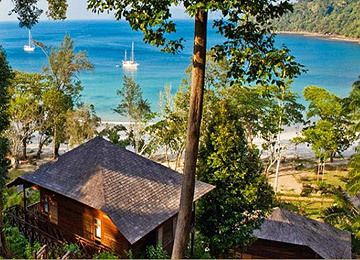 The place is undoubtedly beautiful with greenery, mountains, abundant wildlife, beaches etc. You would even be able to enjoy sports facilities like tennis too. In fact snorkeling is real fun too amidst such a beautiful atmosphere. But when you look at the price list of the extravagantly priced restaurants then you would realize that you could have done all these adventurous activities at any other cheaper location too as the price of the cheapest staying lodge is $645. The Bahamas host the Musha Cay Islands which form a beautiful archipelago of eleven islands. A tourist will understand the meaning of true luxury when he visits this location where he will be treated to luxurious spa treatments and he would be provided with a personal chef too. All sorts of water sports can be enjoyed here but only at the price of $37,500 ONLY! The places like Musha Cay, Oslo, Virgin Islands are just highly extravagant for even the well to do families. So, whether you’re planning a honeymoon trip or a family vacation, you should strictly avoid going to these tourist destinations if you really want to have fun.